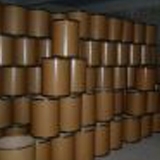 China Fipronil Suppliers, China Fipronil Manufacturers. Fipronil is a broad spectrum insecticide that disrupts the insect central nervous system by blocking the passage of chloride ions through the GABA receptor and glutamate-gated chloride channels, components of the central nervous system. This causes hyperexcitation of contaminated insects' nerves and muscles. Treatment and prevention of fleas, ticks, and chewing lice infestations in dogs and cats. Aids in the control of sarcoptic mange in dogs.